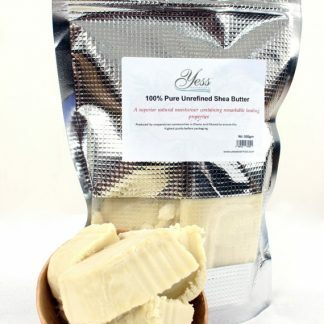 Yess Essentials Authentic raw African soap made from cocoa pod husk ash and unrefined shea butter from the cooperative communities in Ghana. 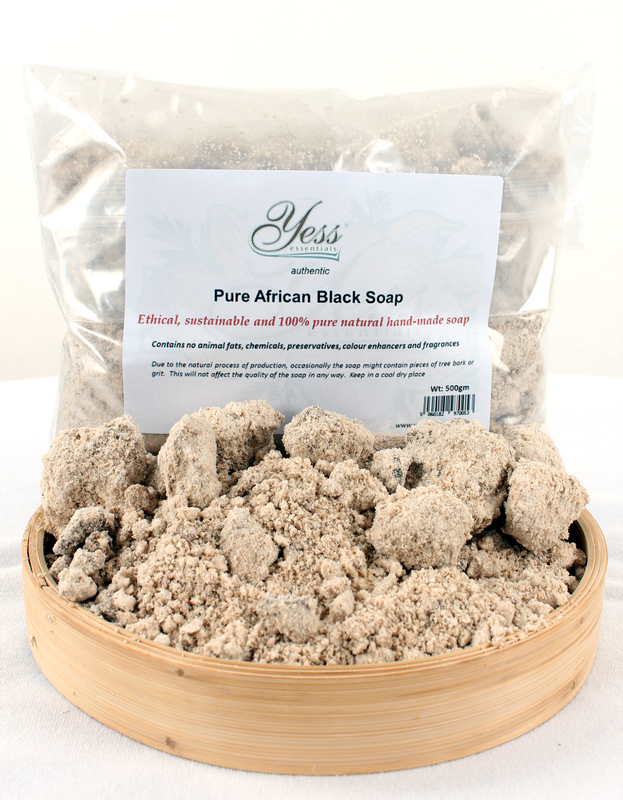 The best raw African black soap for skin care products formulations. 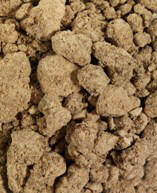 Raw African black soap originates from the villages of West Africa (Ghana, Nigeria, Togo). 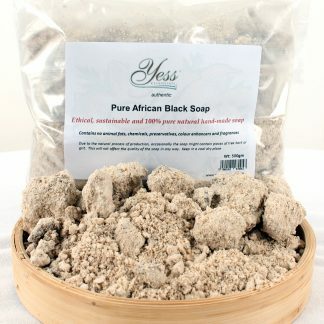 African black soap is an ancient product that is used and cherished in homes throughout West Africa and becoming an essential component of beauty regimens. The soap is brownish-black in colour with a soft texture and a natural earthy smell. The basic recipe is centuries old, having been handed down from the generation with slight variations in ingredients depending on what is locally available and each family formulating their own unique methods and ingredients. 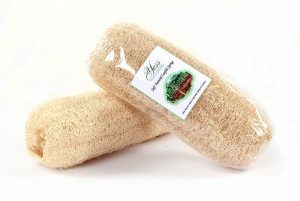 The soap is known as Anago or Alata Soap in Ghana, Ose Dudu in Nigeria or just Pure African Black Soap or Ghana Black Soap. 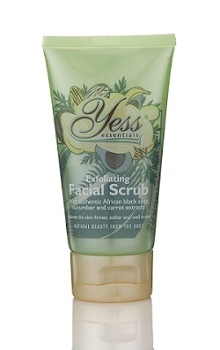 Yess Essentials authentic raw African black soap is made from cocoa pod husk ash and unrefined palm kernel oil. 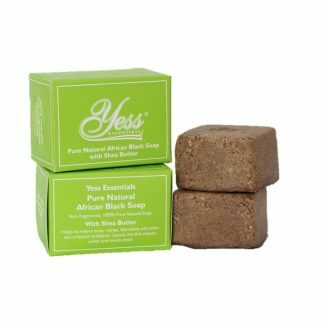 Yess Essentials African black soap comes in loose crumbs for ease of mixing with other additives for natural skin care formulations. Raw African black soap is high in natural glycerine and absorb moisture from the air and become darker in colour and softer in texture when left exposed. The soap should be stored in cool dry area wrapped in a strong paper or stored in a paper-lined bag. Authentic raw African black soap does not go bad. It can be used at any time if stored properly. Due to the natural process of production, occasionally the soap might contain pieces of tree bark or grit. This will not affect the quality of the soap in any way.